This is my favorite way to cook salmon. Especially if it's for two people. It's so easy, and it looks fantastic. The key is the cast iron skillet. 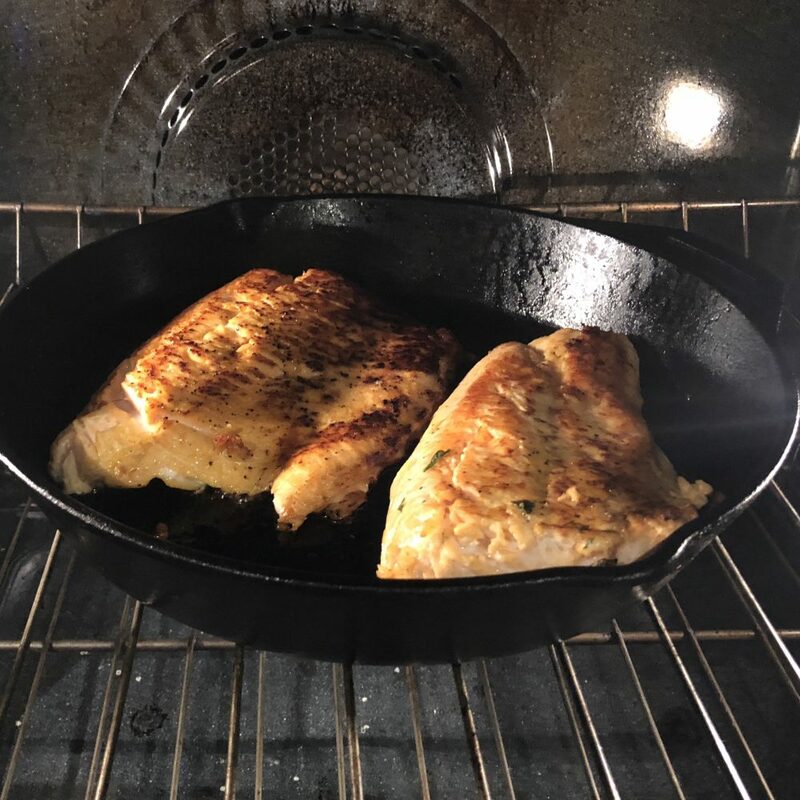 I am fairly new to cast iron skillet cooking - it's been my focus since 2015, but I am a convert and a believer! 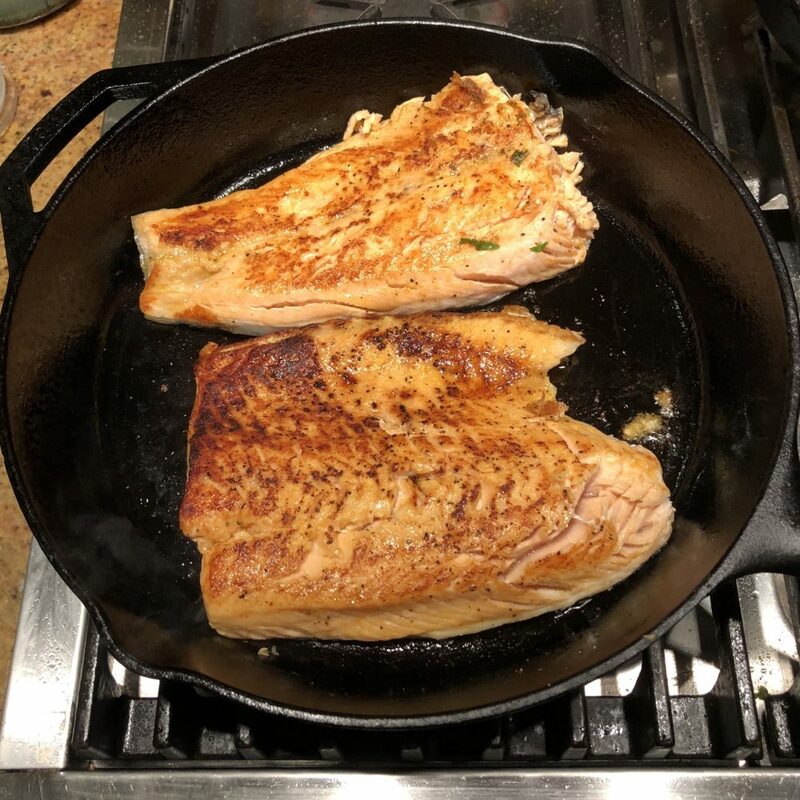 My family loves salmon - salmon as a main dish, salmon tacos, or much more. I have two ways to cook it here: grilled on the BBQ and cast iron skillet baked. The bottom line is - they are both spectacular. 2Heat Cast Iron Skillet on high heat. 3Prepare salmon. Coat with Olive Oil and season non-skin side with salt and pepper. Add some lemon pepper spice if you want. 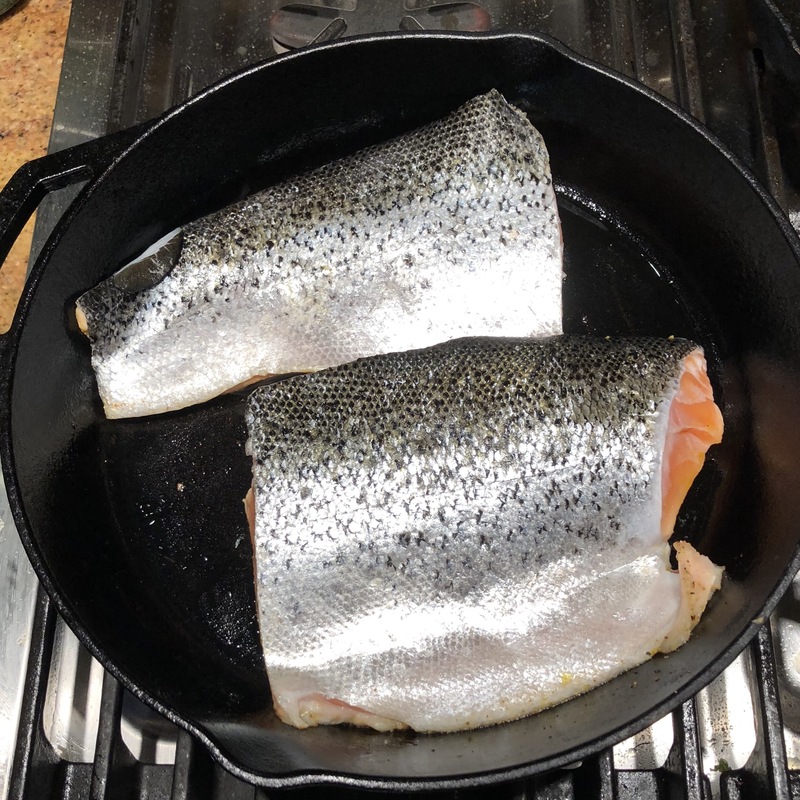 4When skillet is hot, place the salmon, SKIN SIDE UP, into the skillet.